Our school ethos has been developed in collaboration with the school council. 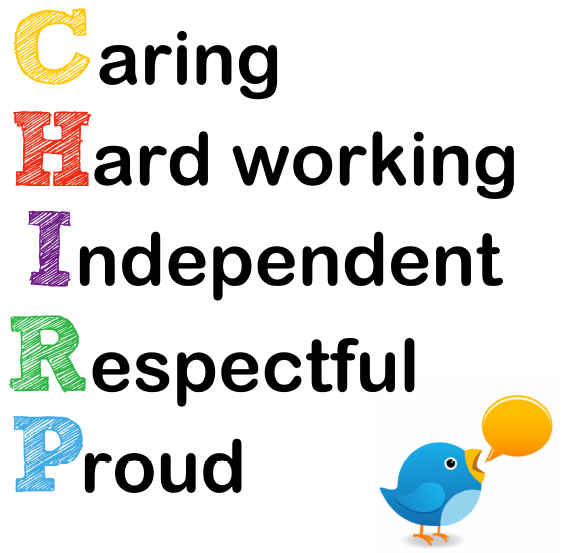 We expect all members of our school community to be: Caring, Hard-working, Independent, Respectful and Tolerant and Proud of their achievements - We all CHIRP! Click on the document below to find out more about our values and how we promote them here at Grange Farm.